Could You Have Oral Cancer? Oral cancer is a serious issue, and there are many factors that could affect your risk. However, visiting your dentist for regular exams and knowing the signs to look for can allow you to take action quickly. Read on to see if you could have oral cancer. 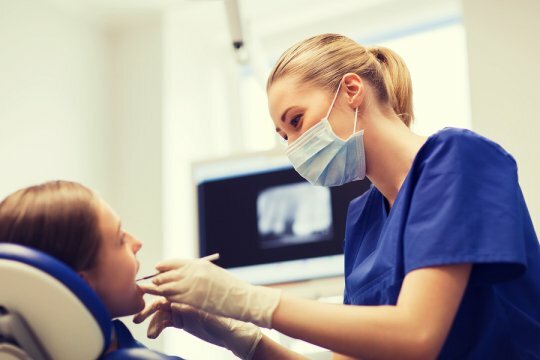 Visiting your dentist is particularly important when it comes to spotting the signs of oral cancer because symptoms can sometimes be tough to recognize without a trained set of eyes. You may not experience all of the symptoms, and you might not even notice any of them, but they include white or red patches in your mouth, numbness or bleeding, and a noticeable loss of weight. Alcohol and tobacco use, as well as too much exposure to ultraviolet rays, can increase your chances of developing oral cancer. Talk to your dentist if you think you’ve noticed symptoms. Seeing your dentist serving Hazlet on a regular basis can help you reduce your chances of oral cancer as well as catch symptoms early on. Please do not hesitate to call Glenwood Premier Dental at (732) 264-4477 or visit our website. In addition to oral cancer screenings, we provide root canals, veneers, and much more.